The Orion StarShoot 3mp Solar System V Imaging Camera is a great entry point into astrophotography of the moon and planets. 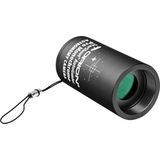 The camera's 3mp color CMOS chip provides the resolution to capture the rings of Saturn and bands on Jupiter. 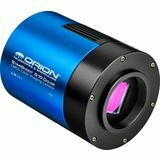 The Orion StarShoot 1.3mp Solar System V Imaging Camera is a great entry point into astrophotography of the moon and planets. The camera's 1.3mp color CMOS chip provides the resolution necessary to capture the rings of Saturn and bands on Jupiter. With this single camera, you can perform any type of celestial imaging you wish! 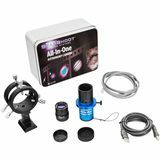 The Orion StarShoot All-In-One (SSAIO) Astrophotography Camera is your one-stop solution for all types of astrophotograpy. Exclusive Orion imaging software included. 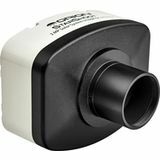 Packed with high-performance features like regulated cooling to 20-degrees below ambient and the impressive Sony ICX829ALA mono CCD sensor, the StarShoot G4 Monochrome Camera will help you capture detailed images of deep space and more. 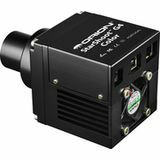 Thanks to high-performance features like regulated cooling to 20-degrees below ambient, built-in fan, and the impressive Sony ICX829AKL color CCD sensor, the StarShoot G4 Color Camera will help you capture impressive images of deep space. High-resolution 5-megapixel solar system camera lets you capture images and view live video of the Moon and planets on your Windows or Mac computer! Features up to 51 FPS frame rate, small 2.2 micron square pixels, and Auto Dark Frame Removal tool. 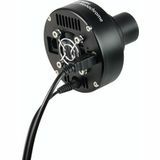 This complete autoguiding solution includes a compact guide scope and highly sensitive autoguider camera to give your astrophotography pursuits the added accuracy of precise autoguiding. Weighs just 9.1 ounces. 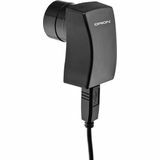 The Orion StarShoot G3 Color imaging camera provides cutting-edge astrophotography technology at an unbelievably low price. 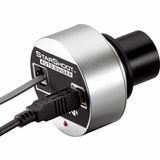 If you've been thinking of exploring the rewarding realm of astrophotography, the StarShoot G3 Color imager is made for you! Featuring a monochrome imaging CCD chip, the affordable and TEC-cooled Orion StarShoot G3 Monochrome Imaging Camera is capable of performing advanced tri-color imaging techniques when used with proper LRGB or narrowband astrophotography filters. 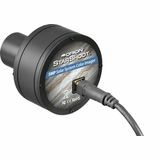 The Orion StarShoot is an easy-to-use, affordable autoguider for long-exposure astrophotography. 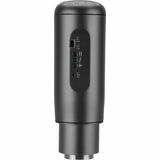 Plug it into an autoguider port on your mount and let it do the work for you. It comes with the software and cables needed to work right out of the box! 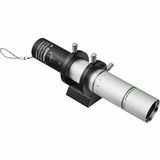 The Wifi Digital Eyepiece for Microscopes and Telescopes from Barska is a wireless digital recorder that is used in lieu of an eyepiece on both microscopes and telescopes, and has been designed to work with your Android or iOS device. Orion Telescopes is introducing more and more amateur astronomers to the fun and fascination of astrophotography, thanks to our innovative, affordable line of imaging cameras. Offering performance features that competing models lack, our cameras for astrophotography include a complete software package for capturing and processing your shots on your computer. We can't wait to see your astrophotos in the astronomy magazines — and in our online image galleries!